We were itching for some crab cakes (BMH’s crab cakes) and lobster (BMH’s lobster roll) so we headed over to Island Creek Oyster Bar. 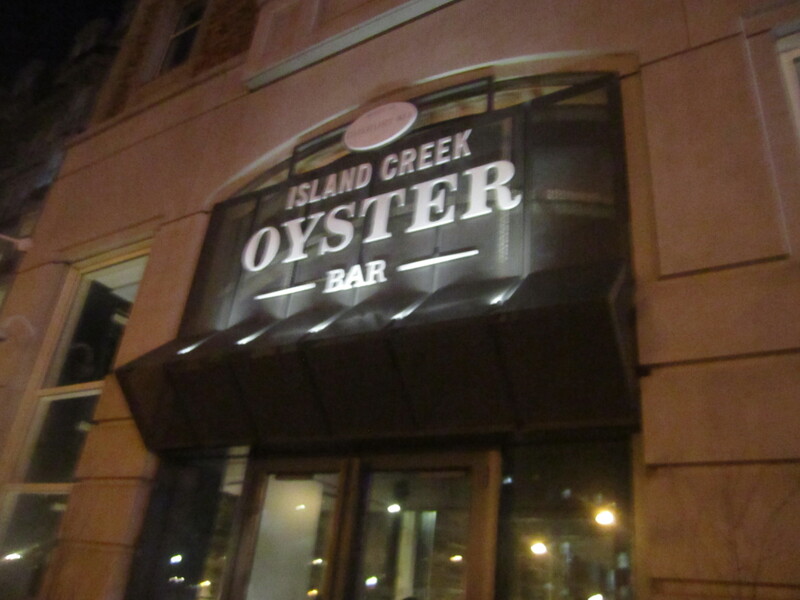 After an unbelievable brunch at Island Creek Oyster Bar, we knew we would be back to try the late night menu, when the popular bar and restaurant was less busy. 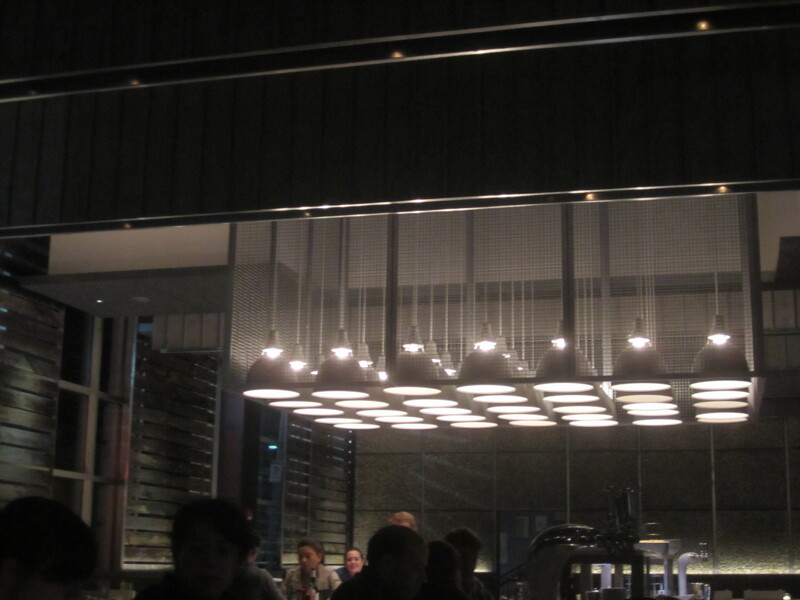 The two design elements I enjoy about Island Creek is the lighting fixtures and the back wall of oyster shells. 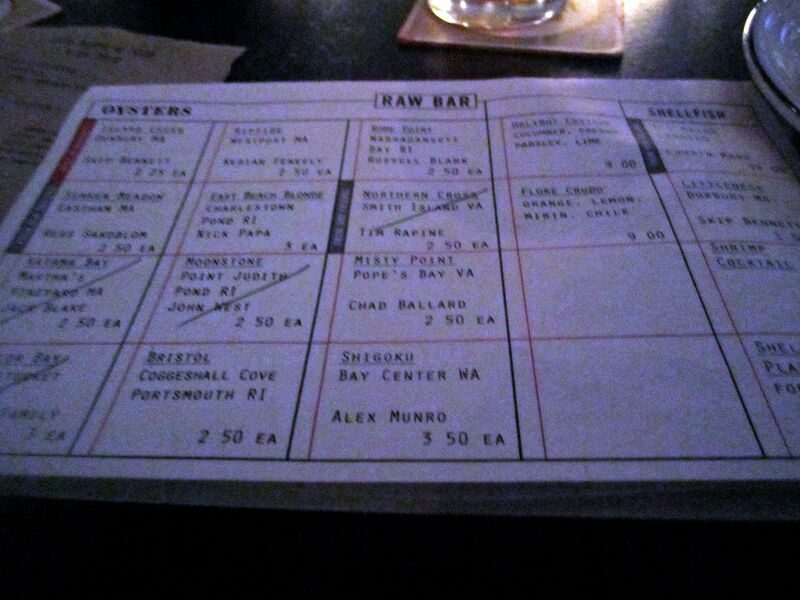 There were several oysters that were out that evening and the bartender crossed them off for us. We chose our favorites, the Duxbury based Island Creek ($2.25 each), Misty Point, Sunken Meadow and Riptide (all $2.50 each). 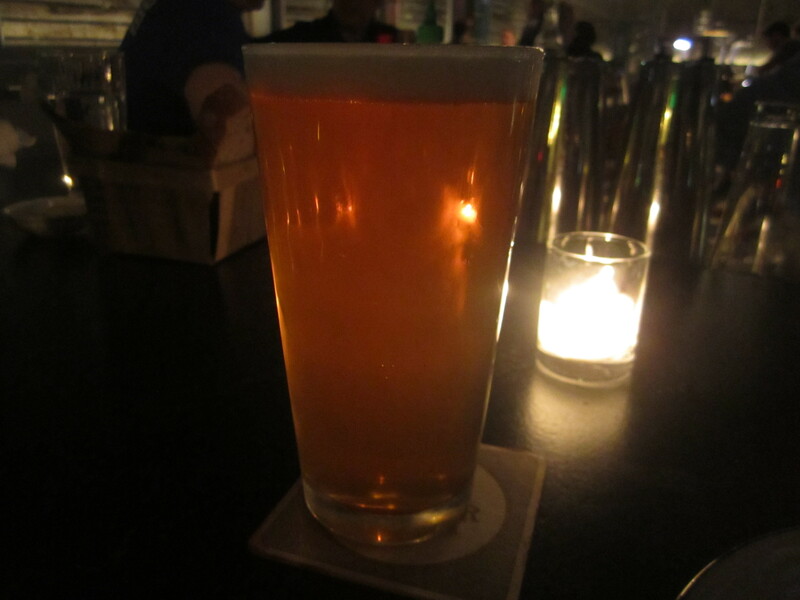 We enjoyed Anchor Liberty Ale, a San Francisco based pale ale. The hops and champagne-like bubbles was a nice counterpoint for all our seafood items ($6). 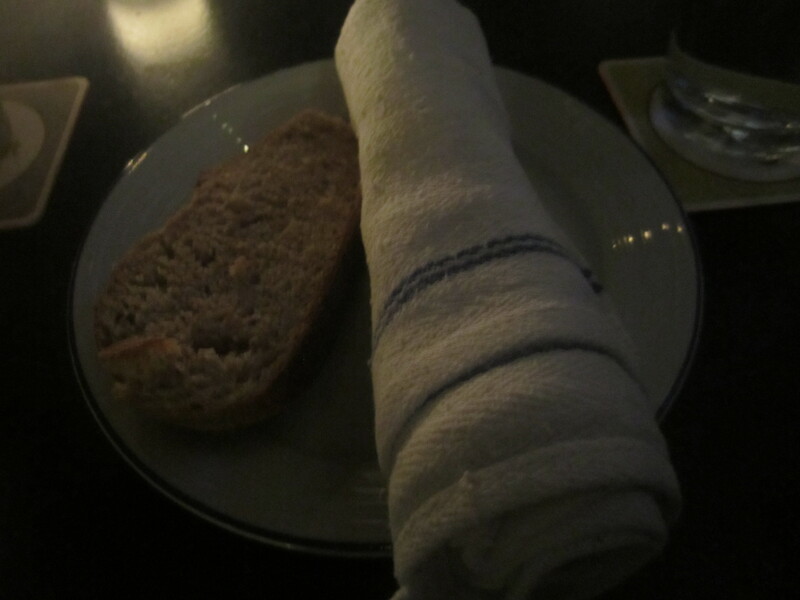 While waiting, our server provided us with some in-house baked honey wheat bread. The tender bread had a nice crust and was even more enjoyable with the soft butter. 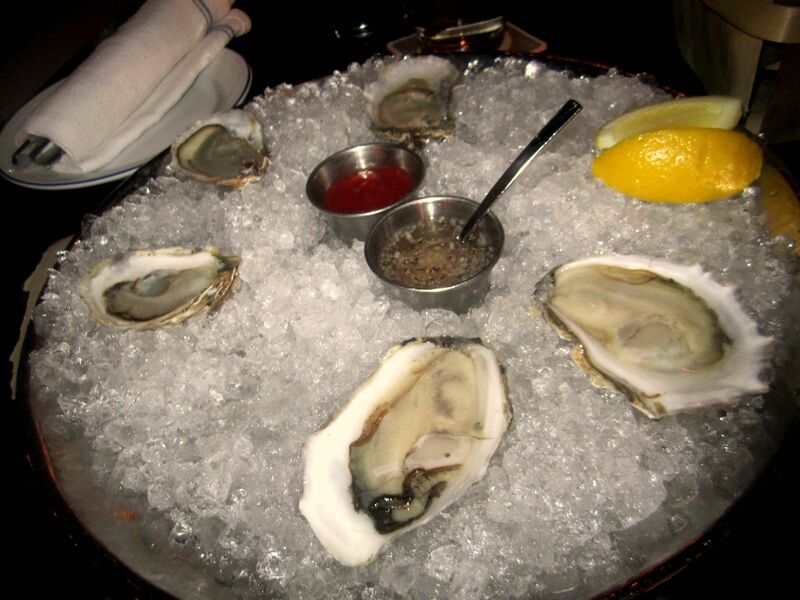 My favorite was the Misty Point oyster and my dining companions loved the Island Creeks. They both had a nice ocean flavor and were super fresh. All of the oysters had a nice chilled temperature and were perfect with a twist of bright lemon. We were pleasantly surprised that ICOB had Sriracha originates from Thailand, but was popularized in the States by a Vietnamese businessman. 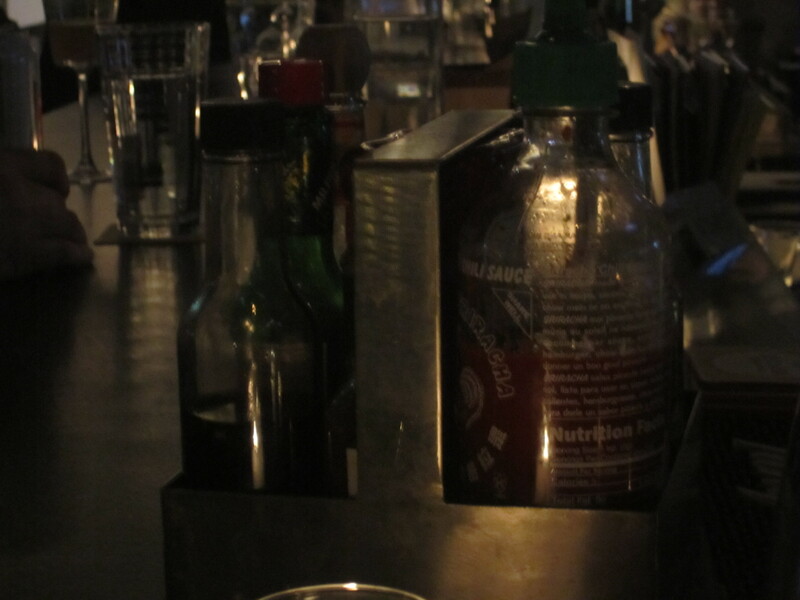 We love Rooster sauce on practically everything (NPR’s Ode to Sriracha). For a touch of heat, we added a dot of sriracha to one of our oysters. ICOB also has Sriracha fries ($4), which we will definitely try next time. We shared a bite of the lobster slider ($5) and crab cake slider ($4). we had a choice of sauces and our friendly bartender suggested the lime and chili aïoli versus the other sauces (tartar sauce, horseradish mayo or meyer lemon aïoli). 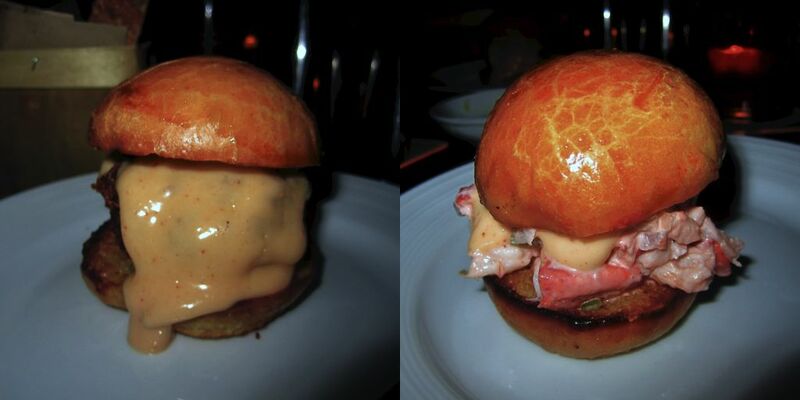 I loved the butteriness of the fresh Brioche roll. The lime & chili aïoli had a nice zesty flavor and really went well with the warm crab cake and fresh lobster meat. We will have to return to ICOB finally for dinner. 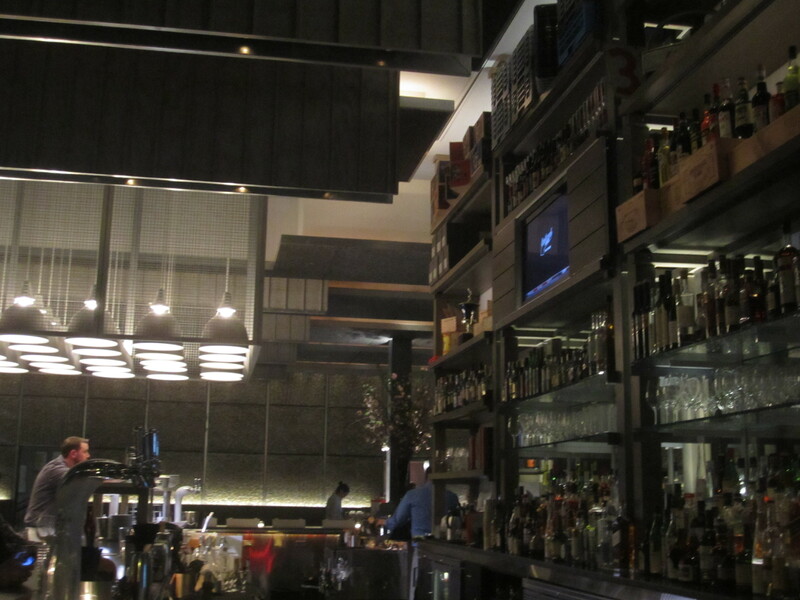 The service, kitchen and bar have executed in every facet every time and we know it will continue to deliver.